This handy letter pressed art piece is one you'll want to keep up top. Made it out the door in time to grab your favorite cup of joe before work? High five! Even life's little accomplishments deserve some recognition, and this cheeky and encouraging art print is always ready to give you some skin. 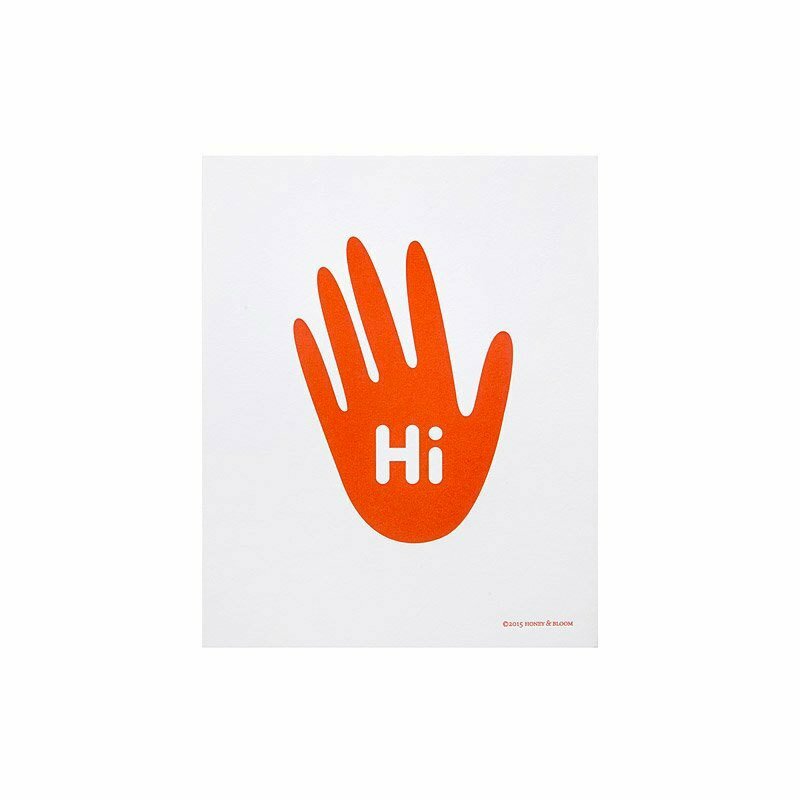 Printed on weighted white paper, the bold red hand of this design is letter pressed for a bright and cheery finish. Made in California.